Welcome to the Navajo Code Talkers Application! This is the ultimate secret code dictionary of the Navajo language used by the Navajo Code Talkers in World War II. "Navajo Code Talkers" is a iPhone, iPod touch and iPad mobile device application that contains 677 basic Navajo words that were used by the Navajo Code Talkers to transmit unbreakable coded messages. At a touch of a finger, you can easily find Navajo words by searching the English word counterpart. As an enrolled member of the Navajo Tribe, I am providing most of the Navajo words that were released by the U.S. Marine Corps (USMC) years after the end of World War II. As such, the Navajo words provided in this application are authentic as provided by the USMC data. 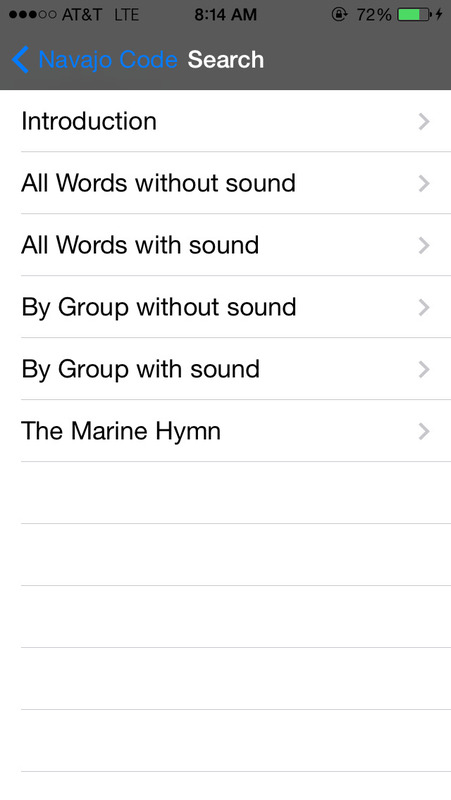 As a user friendly option, the "Navajo Codes Talkers" application provides sound files. 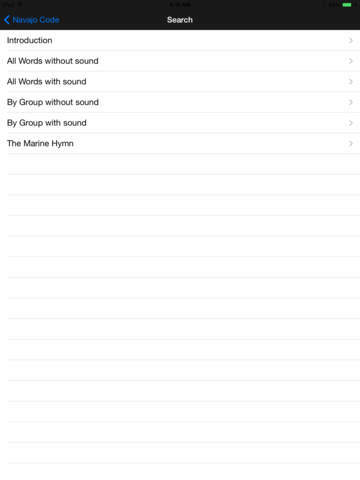 The sound files of 51 Navajo military words will enable the user to hear the military words being spoken in the Navajo coded language. 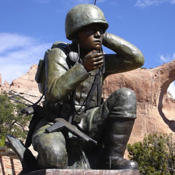 The application goal, as an educational tool, is to provide an account of Navajo coded words to anyone interested in learning the secret code used by the Navajo World War II heroes, the Navajo Code Talkers.